WD HDD palmer, charger families are pointing to the new western digital hard drives of PCB 800066, 800069, 800067, 800065, etc. To recover lost data from these new hdds, it is more difficult than to recover lost data from traditional western digital hdds. Seagate LM hdd data recovery cases are more and more common in all data recovery labs all over the world but recently the coming ST1000LM035 and ST2000LM007 with new FW version-EB01 create problems for data recovery engineers. Dolphin Data Lab keeps working hard to improve and add new data recovery solutions for all Dolphin users for their better success rate and now the new version V1.812 is available in the Dolphin user-only forum. 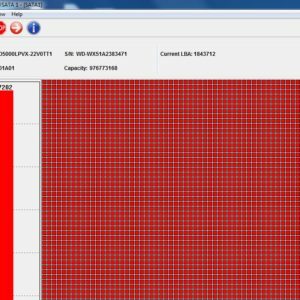 Init SMART Fail is one very common failure in Seagate F3 hard drives. In most cases, it is very easy to fix this firmware corruption by DFL ST hdd repair program but for some cases, it can be difficult. To recover lost data from Seagate ST2000DM005 patient hdd, users need to connect this patient hdd to DFL Seagate firmware repair tool and connect COM cable for terminal command repair. With DFL Seagate hdd firmware repair tool, users can fix the ST2000LM007 firmware failure at high success rate like other Seagate LM hdds. Before any repair operations on the patient hdd, users need to remember to backup the original ROM and important SYS files such as the translator and NGlist. 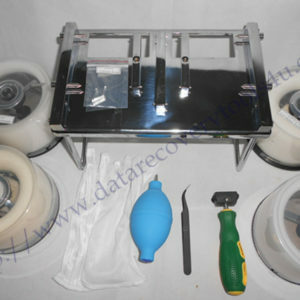 This is one successful data recovery case study from one Dolphin user in Vietnam by Dolphin remote data recovery system. When the patient drive was received, the drive was not detected at all and users even failed to read rom reporting ROM length error and no model or other ID information was detected. This is one successful Seagate SSHD data recovery case for one Dolphin user in Nepal. When the user received this case, the patient hdd was not detected and capacity is 0. The user tried some traditional Seagate hdd firmware repair functions and steps but failed. To recover lost data from Western Digital WD5000AAKS-22V1A0 patient hard drives, engineers need to find out the failure reasons and then use the correct data recovery solutions for the best result. This is one successful physical western digital hdd data recovery case study for one user in Vietnam. This patient drive was received with clicking noises. This patient drive was one WD 2TB MyPassport USB3.0 hard drive.